Real estate experts said that the residential market across India has revived after RBI cut its major rates. 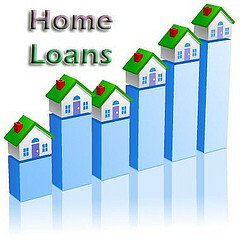 After the RBI rate cut; the home loans have become cheaper and this has improved the sentiments of home buyers. Residential market started reviving after RBI cut rate. RBI rate- cut have highly affected the sentiments of home buyers. With the RBI rate cut, the home loans have become cheaper. This has increased the housing demand that helped residential market to revive. 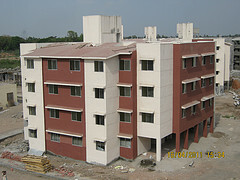 Praising the RBI rate cut, real estate developers and consultants have said that the act will improve the housing demand. As a result the residential market will see a growth. According to them, the rate cut will boost foreign investment as well. The situation seems impossible for the property prices, especially in the metro cities, to fall downward in near future or ever. Will there be a price correction, sooner or ever? Property prices will remain stable; despite no takers are around. The situation in India shows that there will not be a fall of property prices, especially in the metros like Bangalore, Delhi, Mumbai or any other metros. Though everyone wishes a fall in the property prices, it is almost impossible to happen, neither in the near future nor in the longer- future. Finally, Reserve Bank of India (RBI) declared a cut in its main interest rate on Tuesday. As a result the banks will be pushed to provide home loans at lower interest rates. Home loans will become cheaper as RBI cuts rates. Home buyers finally heard the much-awaited good news when the Reserve Bank of India cut its main interest rate (Repo Rate) and cash reserve ratio (CRR). As the central bank cut the rates the impact will be on the subsidiary banks. They will be able to provide home loans at lower interest rates. Taxation policy for Rental Income Originally, according to DTC, the gross rent was to be calculated at a presumptive rate of 6% of either the market value, or acquisition or the cost of construction, whichever is higher. But the revised DTC has proposed that actual rent received or receivable for the financial year should be the basis of calculation. Home Loan Interest Policy:Originally, it had been proposed to do away with the tax deduction on the interest paid on home loans. But, as per the revised DTC, tax deduction on the interest paid on home loans up to Rs 1.5 lakhs for purchase or construction will continue. This revision is quite encouraging for the buyers to buy residential properties. Also, the property which has not yet been let out will be kept out of tax calculations. Thus, there will be no deduction against tax or interest. HDFC, one of the leading home-loans lenders has observed that the prices of residential realty which were hitting the peak levels are now undergoing pre-slowdown. Deepak Parekh, the Chairman of HDFC said that there is an improvement in the economic condition and therefore, developers have started charging premiums. Due to the land prices touching sky, the realty prices also shot up. As per the report, there was a downfall of 25% in residential real estate prices in October 2009, but now it’s steeping upwards again. Parekh observe this change in the most active markets of India, for instance, suburbs of Mumbai, NOIDA in the NCR, a Bangalore suburb etc which all are experiencing price hike. Also, he plans for having a real estate regulator in place. On June 15, the revised draft for the Direct Tax Code was released. This code is a try by the Indian government to simplify the laws of income tax. The government is waiting for the Parliament to pass the code and plans to adopt it from April 1, 2011. Below is the list of some must know changes proposed in the draft code with respect to realty sector. Short-term capital gains: As per the proposals, tax will be imposed on any gain or loss made on the sale of an asset within a year. Long-term capital gains: The proposed laws say that after an year of purchase, the taxation policy on any gain or loss made on the sale of an asset will be implemented as per the long-term capital gains tax policy. As per the draft code, from April 1, 2011, April 1, 1981 will not be considered for calculating the discount rate; rather April 1, 2000 will be considered for the same. 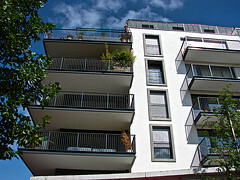 Rental Income Taxation Policy: The draft code has proposed that the gross rent should be calculated on the actual rent receivable or received for the financial year. Home loan Interest Rates: The draft DTC intends to keep on deducing tax on the interest paid on home loans up to Rs 1.5 lakh for construction or purchase of residential property. Self Occupied House Property: Any self occupied house property (property not been let out) will be allowed for deduction on account of interest to the tune of Rs 1.5 lakh. This revised draft code of the DTC has come up as a boom for the home buyers and home owners. The revision seems to be beneficial for all, be it is investors or developers. An interest rate war is brewing in the home loans this festive season. Development Credit Bank (DCB) and GIC Housing offering home loans below the psychological 8%. DCB, which recently entered the segment, is offering home loans at 7.95% for loans up to Rs 5 crore at fixed interest rate for the first year and floating rates from year two. “While affordable housing is the buzzword these days, the market would get a further boost if attractive financing options are available,” says Praveen Kutty, executive vice-president and head, retail banking, DCB. Central Bank of India and Punjab National Bank have waived off processing fee and documentation charges on certain loans. While one would argue that there isn’t much difference between 7.95% and 8% home loans, bankers say that it is basically a psychological pricing to get more borrowers into their fold. According to bank observers, borrowers prefer low interest bearing home loan accounts of nationalized banks over private banks. “While there has been demand for home loans in the affordable home loan segment (up to Rs 30 lakh), the activity in the upper bracket (loans above Rs 50 lakh) has mostly revolved around restructuring or takeover of such accounts by another bank,” says VS Reddy, managing director, Lakshmi Vilas Bank.